Thomas Slatin Discusses his work process throughout the years, as both a writer and a photographer. Years ago, established writer and photographer Thomas W.P. Slatin made a commitment to himself to “always remain certain in the pursuit of work which he loves to do, in the areas of his true talents.” Slatin conveys appreciation to one of his significant sources of inspiration, his late father Dr. Harvey L. Slatin. In a recent interview with Thomas Slatin, certain obvious truths readily present themselves – a passion for his work and a high level of gratitude conveyed by Slatin, due in part to the encouragement and inspiration he received from his late father, Dr. Harvey L. Slatin and the appreciation of his work also by his mother, Anne Pratt Slatin. “My father gave me many cameras throughout the years, including my first film camera at the age of eight.” Continuing, “much later in his life, shortly before his passing, my father gave me a 4×5 vintage camera similar to the one which Ansel Adams once used to photograph national parks. Few knew that my dad and his friend, Arthur S. Covert, both scientists, were actually the ones who taught me everything I know about film photography and darkroom development.” Slatin recalls so much of his early life exploring New York’s Capital District with his father and Covert, where all three of them would often go to Covert’s basement to process photographs in his photography darkroom. “I love to take photographs of industrial type places and of locomotives too, I attribute this to my father taking me to work with him when I was young, where he developed various inventions relating to the electroplating process.” Thomas Slatin’s father loved photography as well, according to Slatin and pursued this throughout the years, which is truly how Slatin had so many quality cameras to use over the years. Thomas Slatin worked in public safety for 17 years, as an Emergency Medical Technician and firefighter, while pursuing an additional career consisting of writing and as a photographer. Slatin stated, “I was thankful to be able to directly help others to a great extent. It was at certain point in my career that I knew I had to pursue writing and photography on a full time basis. My career in public safety gave me the skills to safely and effectively photograph and document the many otherwise abandoned properties which I have explored over the years.” Of course, as described by Slatin, “both of my careers were partitioned from each other, as I never wrote about my career in public safety.” Paraphrasing Slatin, his work in official capacity took him to places that most don’t even think about, and for obvious reasons, few visit. Slatin recalled through the aforementioned experiences learning how to explore otherwise abandoned properties safely. In concluding the interview, Slatin reminds all of the importance to truly pursue work that a person loves to do. Each person has unique gifts and abilities, it’s each person’s gift and responsibility too to pursue work that one loves, and to have the type of career using one’s talents where each person can’t wait until they get wake up to pursue it. “That’s passion, doing what you love and work which positively inspires others, is often where one finds purpose,” states Slatin. News release written by Lisa Pellegrene, who is a publicist, journalist, author, TV/Film professional and animal advocate, www.officiallisapellegrene.com. Thomas W.P. Slatin resides in Upstate New York with his fiancé Angie and their dog Pickles. He is an established master of photography and published photographer who has significance reach online. 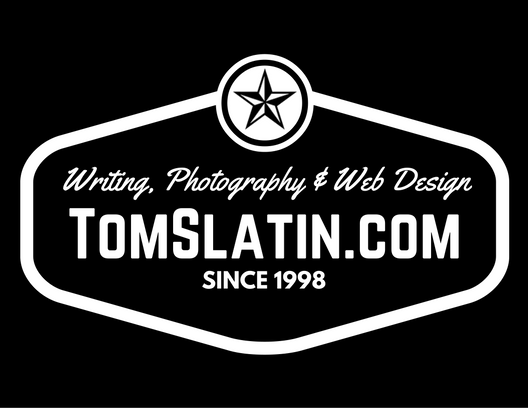 Follow Slatin’s work on Instagram @tomslatin or Twitter @twps and on his award winning blog at www.tomslatin.com. That was a wonderful piece. I enjoyed and really do like the photo shown. Many congratulations to Thomas! I agree most people do not even get the chance to follow their dream so good for you!!! Writing and photography huh? Both expresses freedom and that is the way a life should be. Way to go Thomas! I feel like I have a snapshot into your life and your love for photography. Everyone should pursue their passions so they can achieve great heights and feel gratified. Thanks for your uplifting message and I wish you all the best in your future endeavours. Is facinating to see how someone can follow and true his own dream since he is a child and keep going been an adult. Most people lost the passion when grow up. Humble beginnings resulting in major accomplishments. We are masters of our fate. I like to truly pursue work that I would loves to do. I know each person has unique gifts and abilities, it’s each person’s gift and responsibility too to pursue work that one loves, and to have the type of career one chooses. I love the pictures he took. Thank you for inspiring people to use their talents. Amazing blog you’ve got! Without purpose your talent is useless. It applies to everything that we do. Thank you for this. I’m sure your father this talent in you that is why he always gave you cameras. I must say you’re doing a good job of it.kudos.